Faye Tozer says Strictly Come Dancing’s gruelling routine has “transformed” her body – but it will not last. 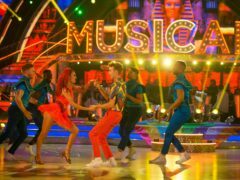 Strictly Come Dancing champion Stacey Dooley has joked it was not the “end of the world” when she flashed her underwear during the final. Strictly Come Dancing’s Faye Tozer has confirmed fellow contestants Joe Sugg and Dianne Buswell are in a relationship after the pair teased they were an item. Strictly Come Dancing winner Stacey Dooley has said she is “on cloud nine” after lifting the glitterball trophy. Ashley Roberts has opened the Strictly Come Dancing series finale with a perfect score of 40. 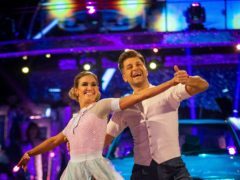 Strictly Come Dancing finalist Ashley Roberts has denied that taking dance classes as a child gave her an unfair advantage in the competition. Stacey Dooley has said taking part in Strictly Come Dancing has given her such a love for dance that she watches video of Shirley Ballas on her phone during tea breaks. Ashley Roberts has said she is more motivated to perform in the Strictly Come Dancing grand final as she has had to “battle” her way to get there. 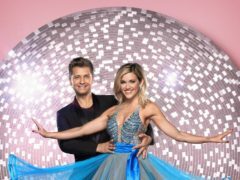 Ashley Roberts and Pasha Kovalev will repeat their Dirty Dancing-themed routine from earlier in the series in a bid to win back favour from the public in the Strictly Come Dancing Grand Final. Ashley Roberts and Pasha Kovalev shot to the top of the leaderboard with a perfect routine in the Strictly Come Dancing semi-final that left Craig Revel Horwood lost for words. Stacey Dooley has said she want to enjoy the next Strictly Come Dancing show and won’t be treating it as a competition. Strictly Come Dancing’s Faye Tozer has said that she doesn’t “even think about the leaderboard”. 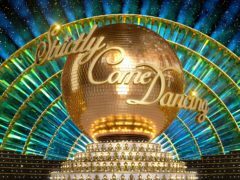 The full line-up of celebrities and professionals for the Strictly Come Dancing Live Tour has been announced. Saturday’s Strictly Come Dancing kicked off with an energetic Mamma Mia medley – and fans said it might have been the show’s best opening dance ever. Faye Tozer has topped the Strictly Come Dancing leaderboard for the second week running after earning a perfect score of 40 for her madcap Charleston. Faye Tozer has said that it felt like a “release” to dance a fiery paso doble during Strictly Come Dancing’s Blackpool special. 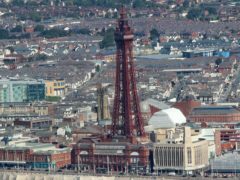 This Saturday the eight remaining stars of Strictly Come Dancing will descend on the famous Blackpool Tower Ballroom for a special episode of the BBC One show. Strictly Come Dancing professional Giovanni Pernice insisted he is single after being asked about a possible romance with Ashley Roberts. Strictly’s Faye Tozer is so stiff after all her dance training that she can barely get out of a chair. 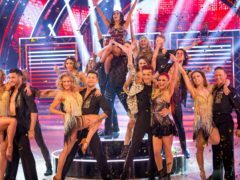 Strictly Come Dancing dominated the ratings with its Halloween special as The X Factor achieved only a third of the BBC show’s audience.